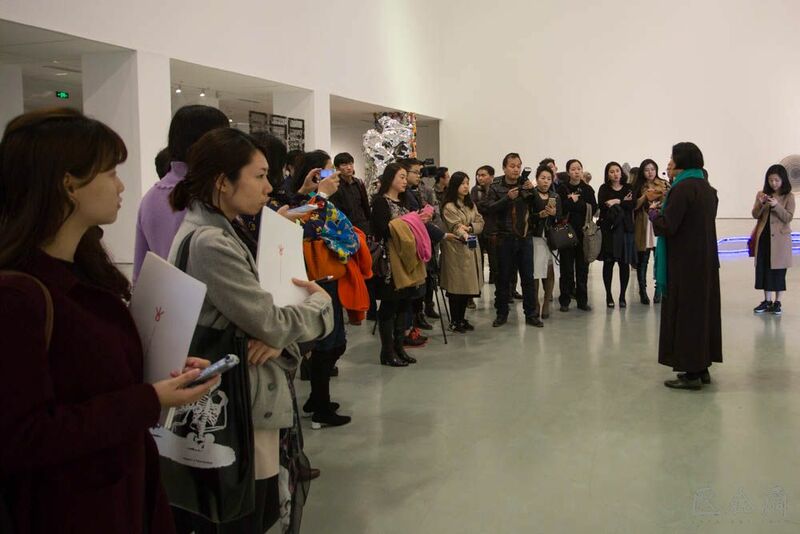 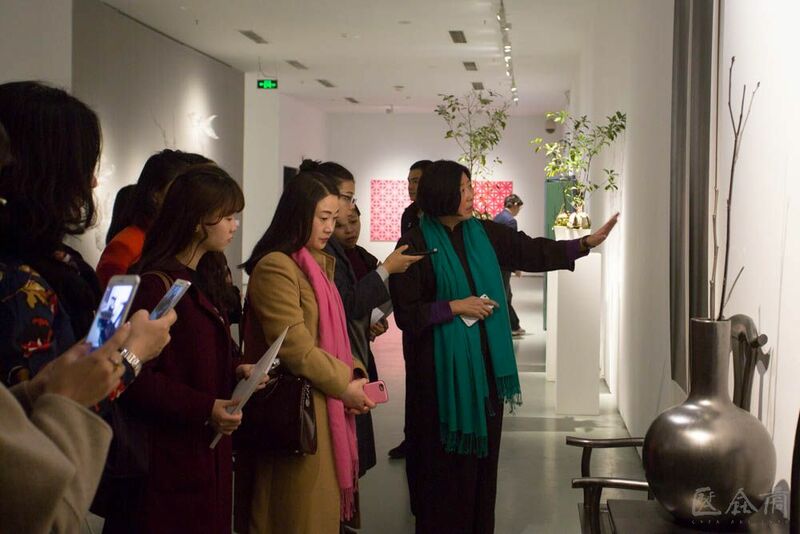 On the afternoon of March 19, 2016, the academic exhibition “Artificial Garden”, hosted by Today Art Museum and co-sponsored by Artaste and Ju De Wen Hua, opened on the 2nd floor, Building 1, Today Art Museum. 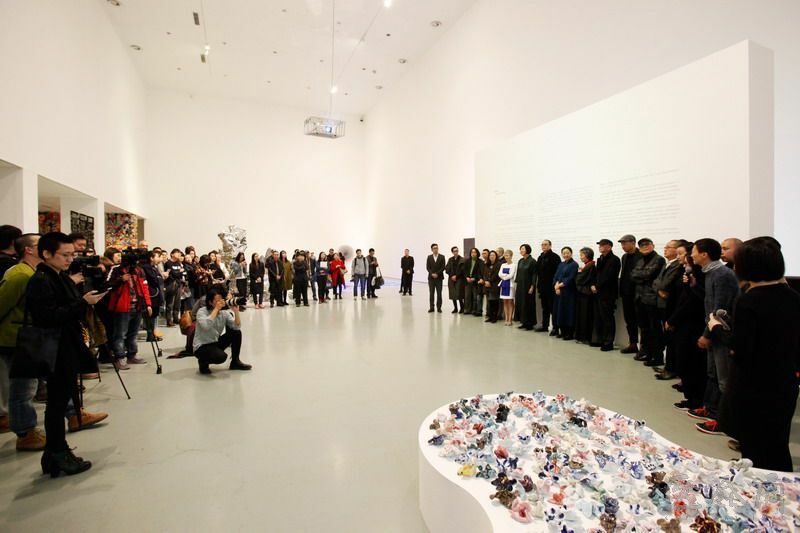 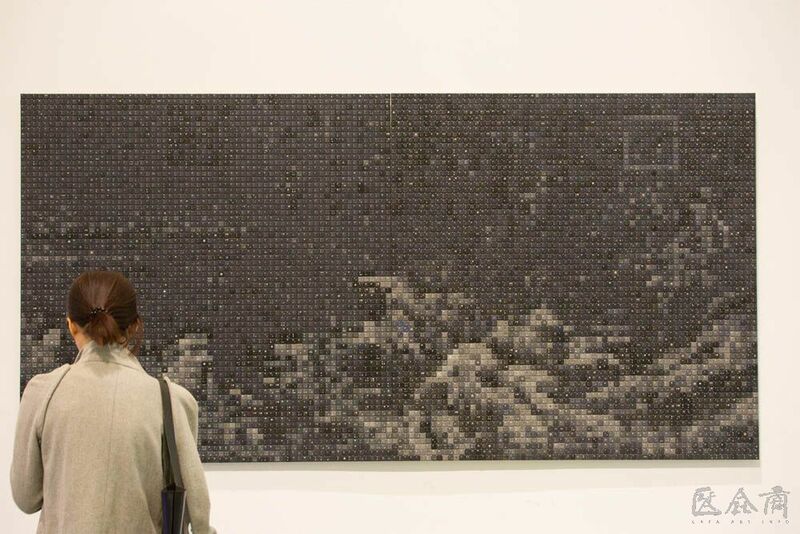 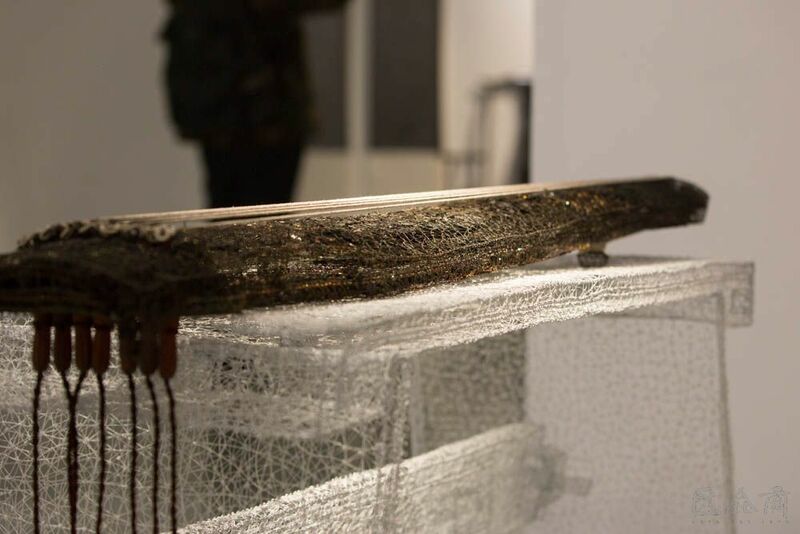 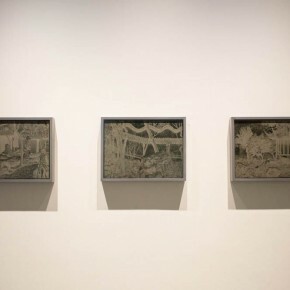 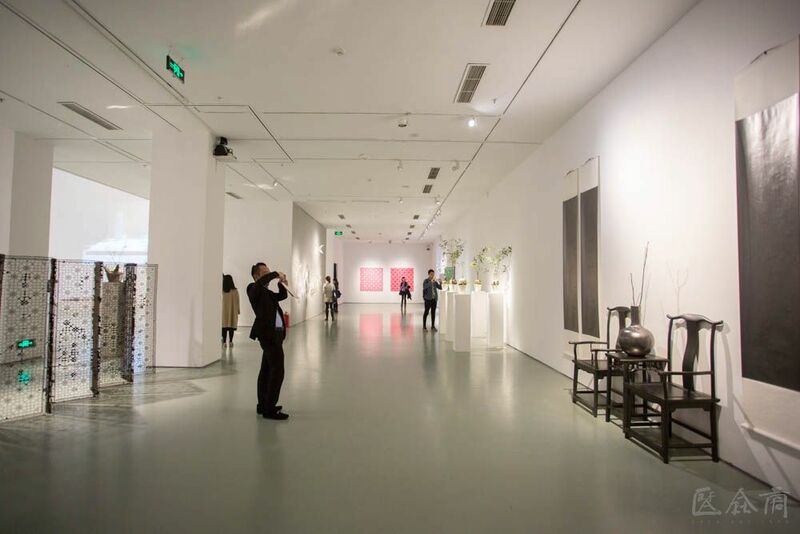 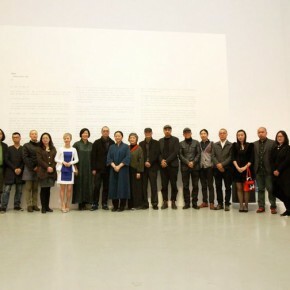 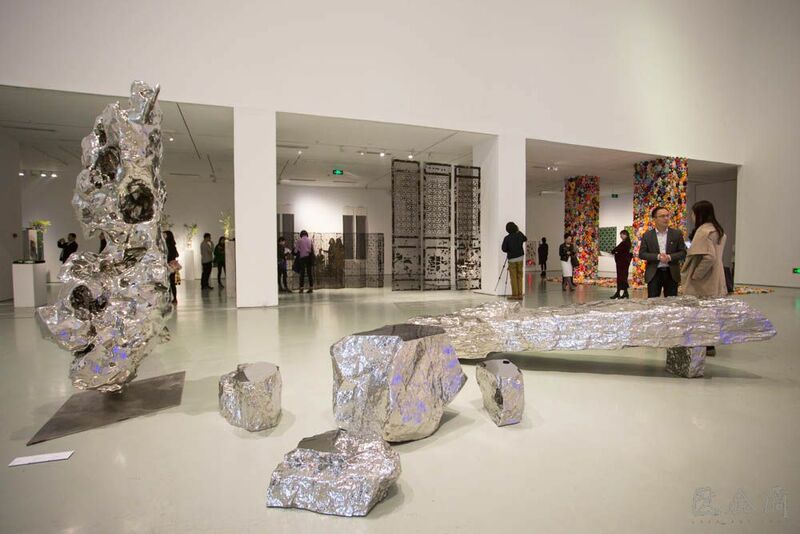 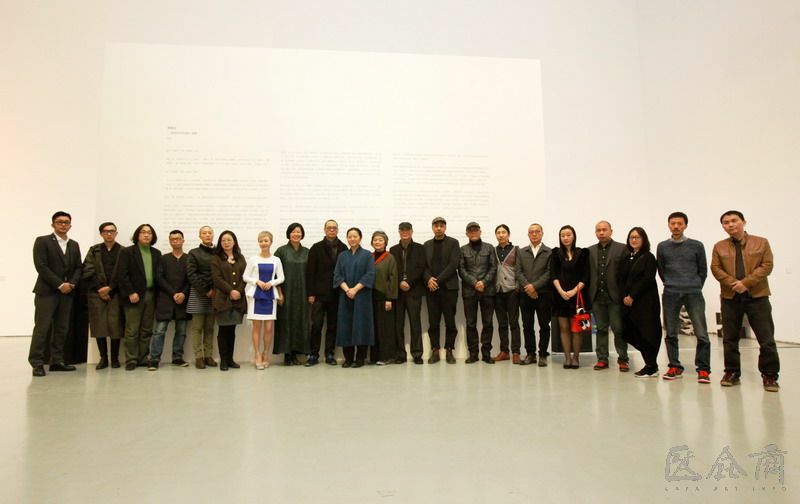 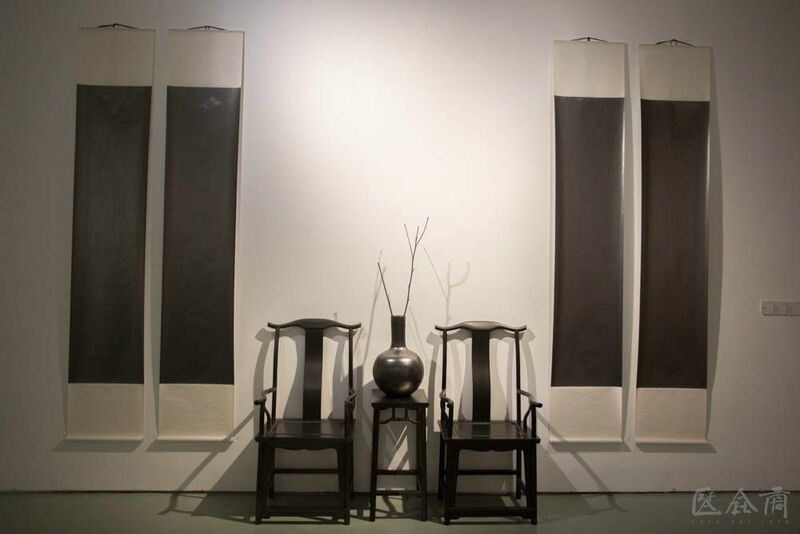 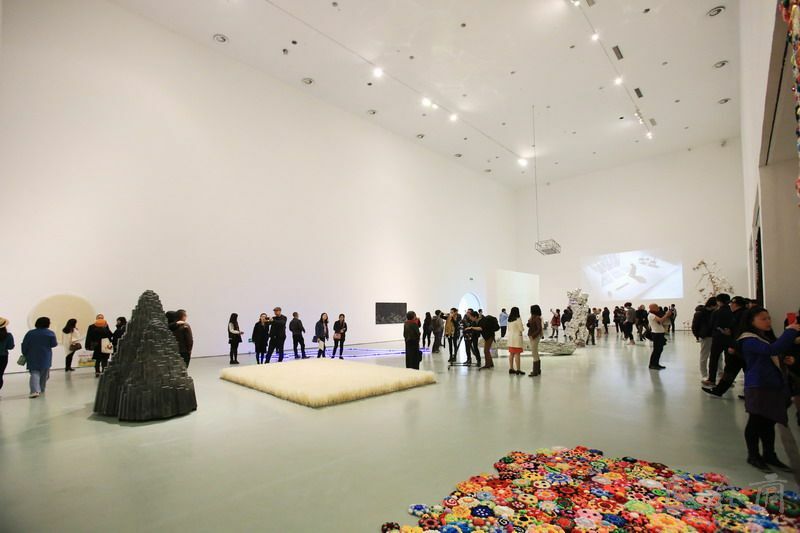 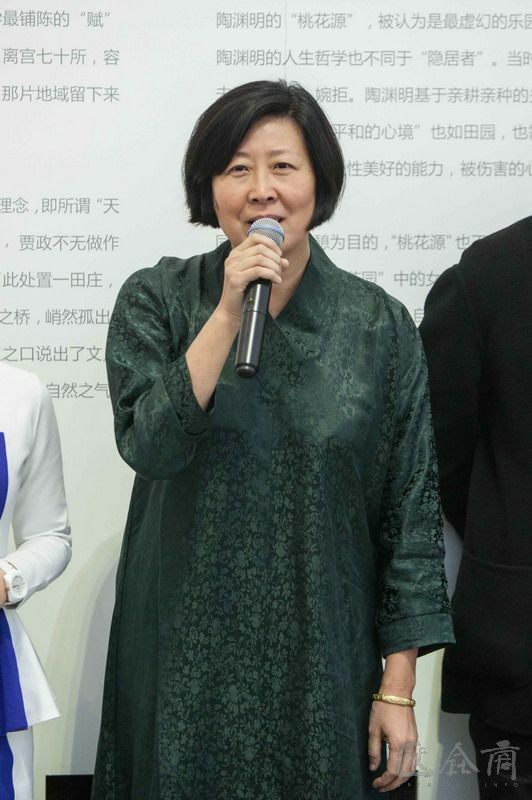 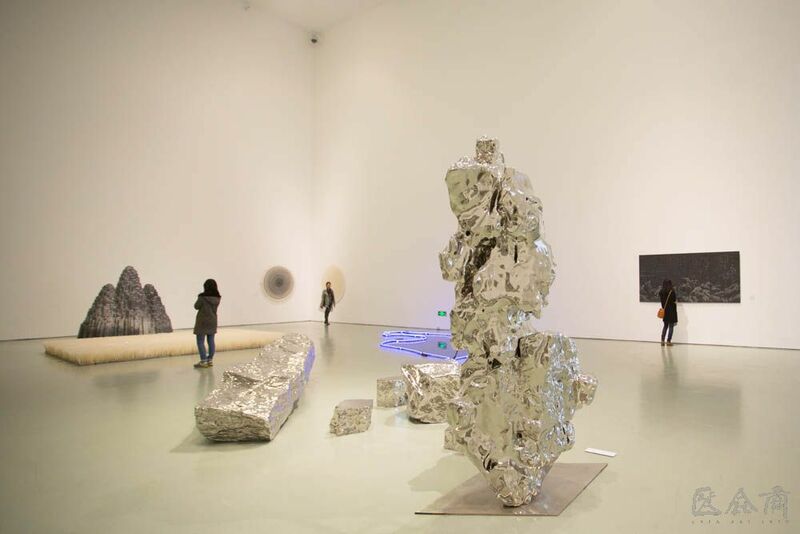 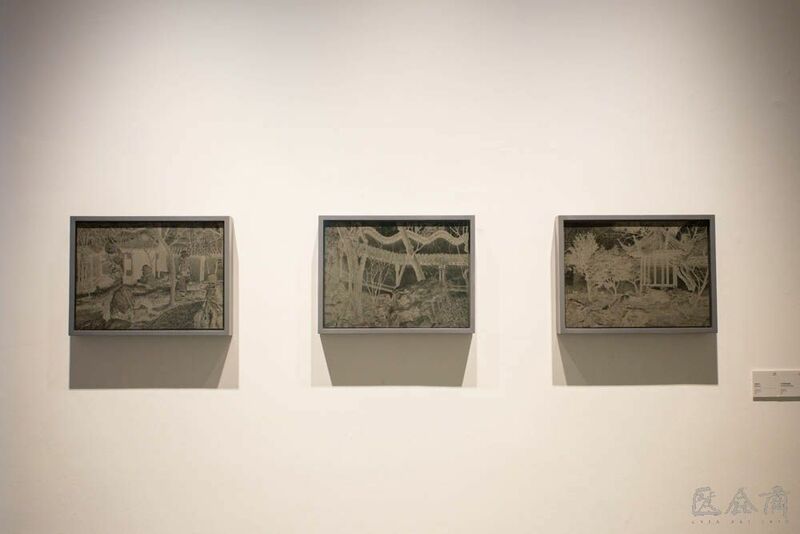 The exhibition was planned by Liao Wen, a well-known Chinese curator, who presents a total of 49 pieces of artworks produced by 21 artists, namely, Zhang Zhenyu, Zhan Wang, Yu Jia, Yang Qian, Zhang Wei, Wang Changming, Shi Jinsong, Yang Fan, Chen Chunmu, Yang Guang, Su Yabi, Xie Fan, Liao Jianhua, He Chengyao, Hong Lei, Shi Jindian, Jin Weihong, Meng Boshen, Shen Yue, Ouyang Wendong and Li Bo. 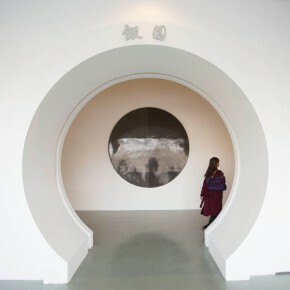 On entering the exhibition site, the visitor will first see the door of the arched feature wall which is commonly seen in the classic garden. 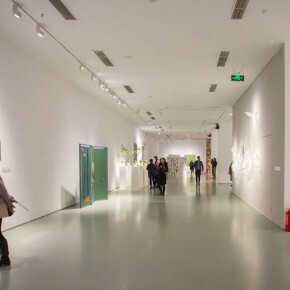 It was designed by the curator Liao Wen – from the exhibition thematic planning concept “artificial garden” to the presentation of “artificial landscape”, and even the layout and setting of the whole exhibition hall, and the visiting style for the audience, etc., all employ an artistic style of expression – “borrowing”, skillfully using the design technique of the landscape garden, so that the visitor can get a mixed feeling of being both familiar and unfamiliar. 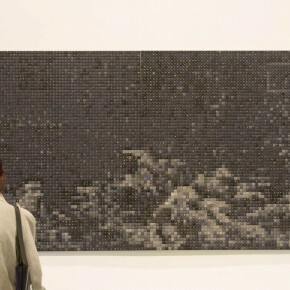 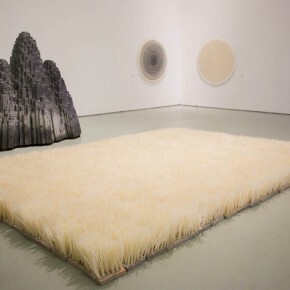 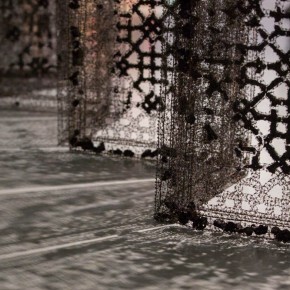 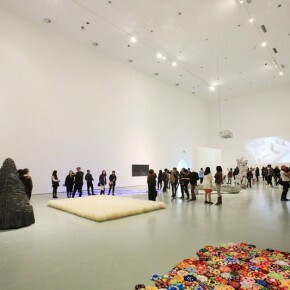 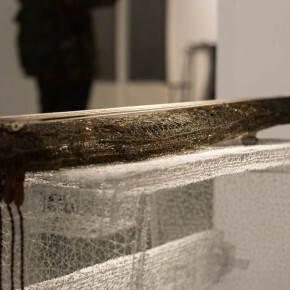 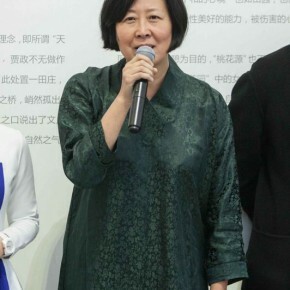 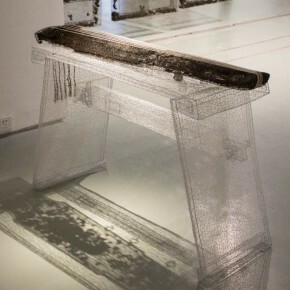 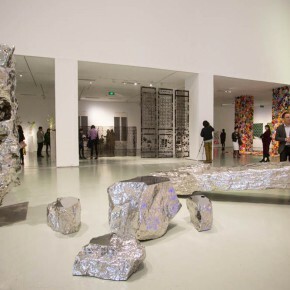 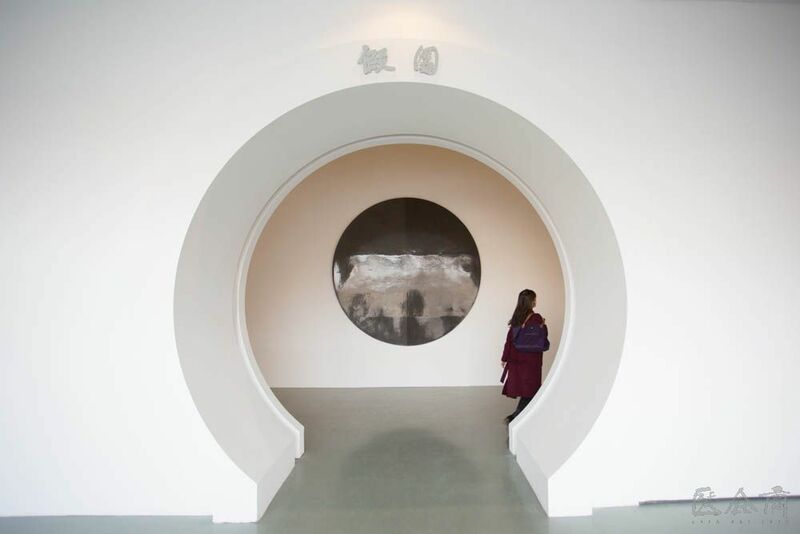 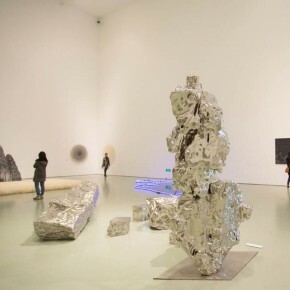 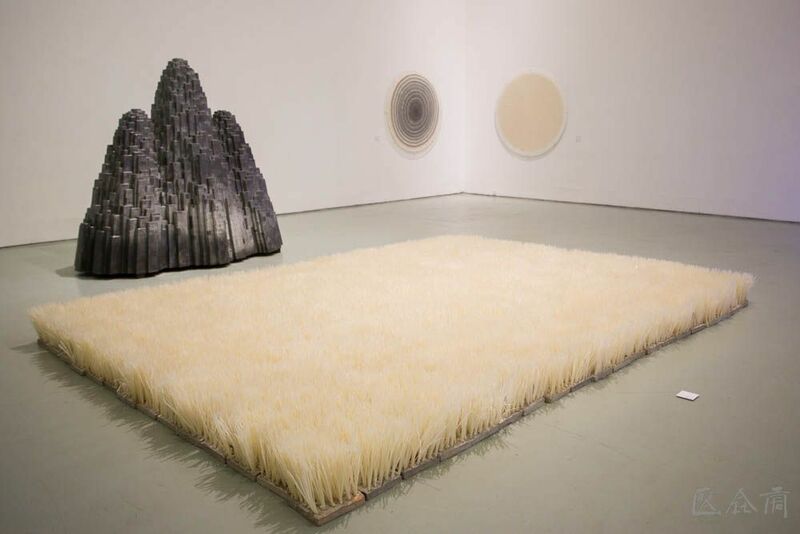 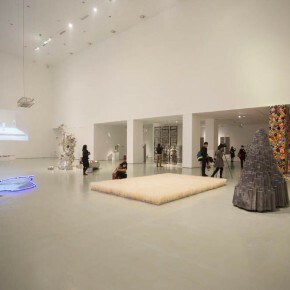 In the exhibition, all things are “artificial”, and the exhibited items are all related to the garden but existing by being stripped from the landscape: the “grassland” formed by nylon cable ties planted on the cement, Taihu Lake stone made of stainless steel, lake water of the North See designed through mobile apps, “mountains” made of lead-covered bullion, the “shadow wall” with ashes made into a mirror, Taihu Lake stone cut and polished in a modern way of “straight and square” that is different from the traditional aesthetic standard of “thin, leak, transparent”, the scene of “literati painting” composed of golden pine trees, chairs and Taihu Lake stone made of copper, the flower bed sewn by hand using textile materials, the “garden of desire” composed of wood paintings and copper trees, the “mini-scape” made of wasted materials such as stainless steel, insects and flowers woven by metal threads, “latticed windows” painted in a variety of non-traditional ways, flower-pattern latticed windows, round windows, the silk painting showing garden details, the hollowed out door, stripped screen and zither woven by metal threads, the non-realistic painting screen , the “vast land” produced by pencil sketching and computer processing, the colorful ceramic garden… The exhibitors include the unknown youths, the well-known mature artists, architects and other professionals. 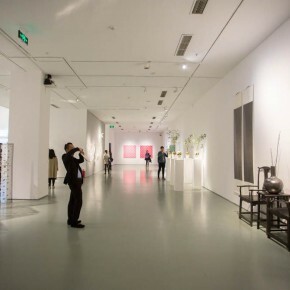 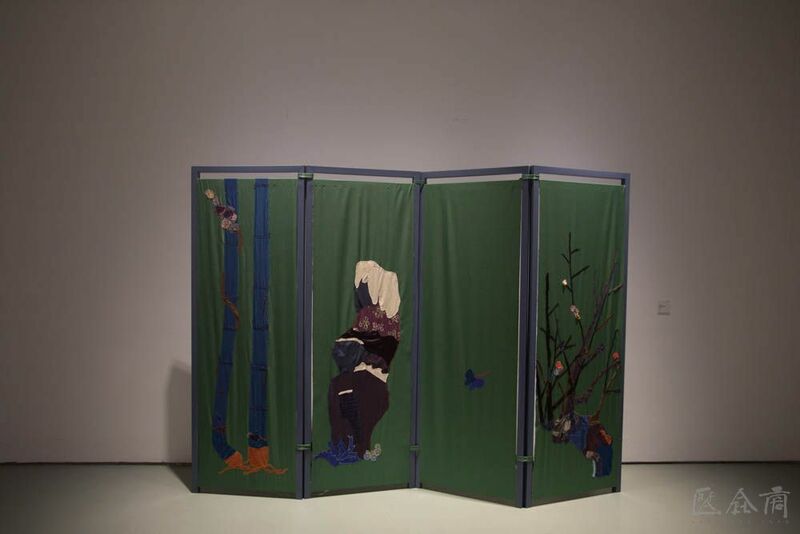 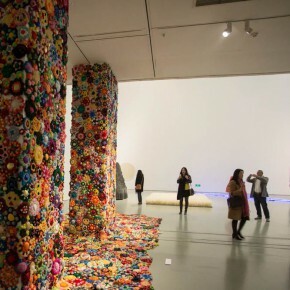 Regardless of age and status, the curator especially chose the work fusing the theme and personal characteristics, to bring the audience an “artificial garden” of contemporary art. 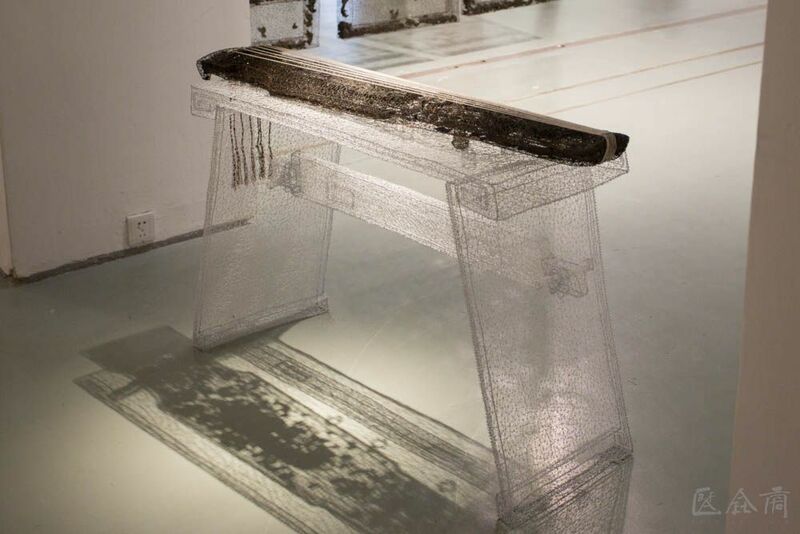 “Everyone” living in today’s world must have had this “artificial experience”, however, only because we have “got used to” it, we have ignored the profound meaning behind it. 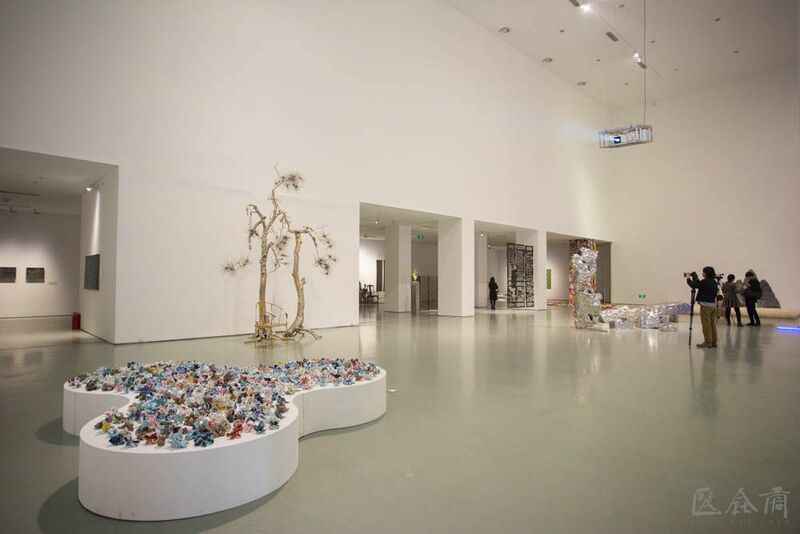 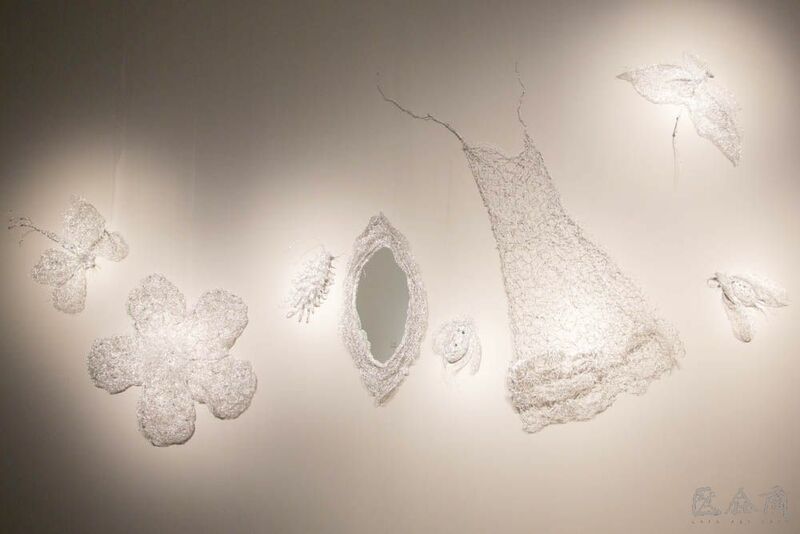 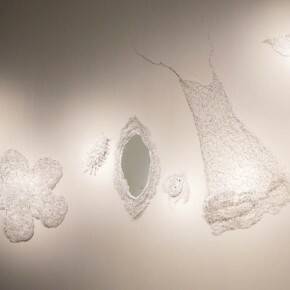 Fortunately, contemporary artists manage to express their feelings through their sensitive attitude and raise questions in an artistic way, which serves the meaning of this exhibit. 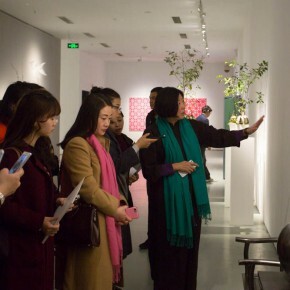 Therefore, the “Artificial Garden” is definitely not “fake” in the moral sense, but rather a platform for discussion on culture and aesthetics. 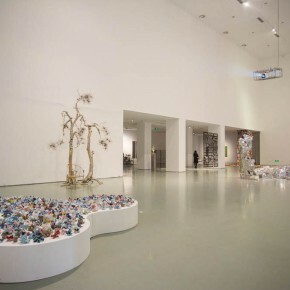 As curator Liao Wen writes in the preface – For they are “made by humans”, these gardens are artificial, but they are also “real gardens” as they meet people’s “spiritual needs”. 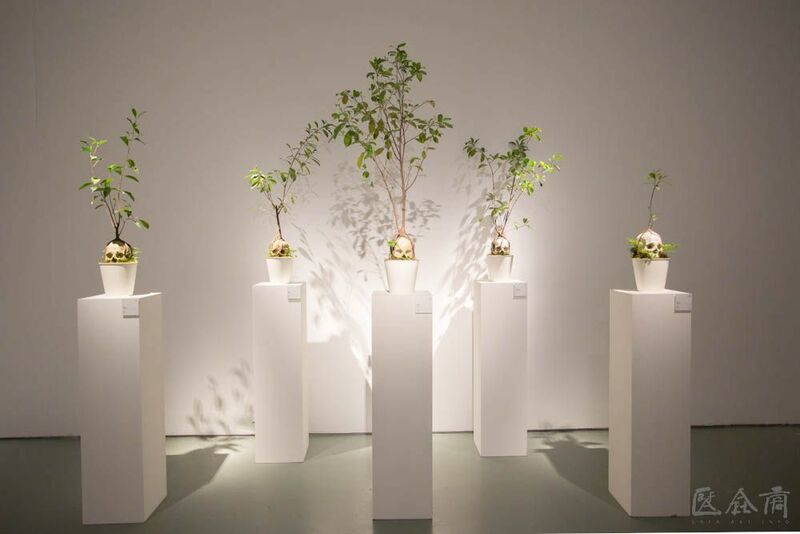 Being both “real” and “artificial”, these “gardens” directly reflect the relationship between man and nature. 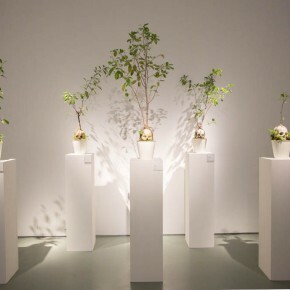 As people’s lifestyles change, the concept of gardens will also change. 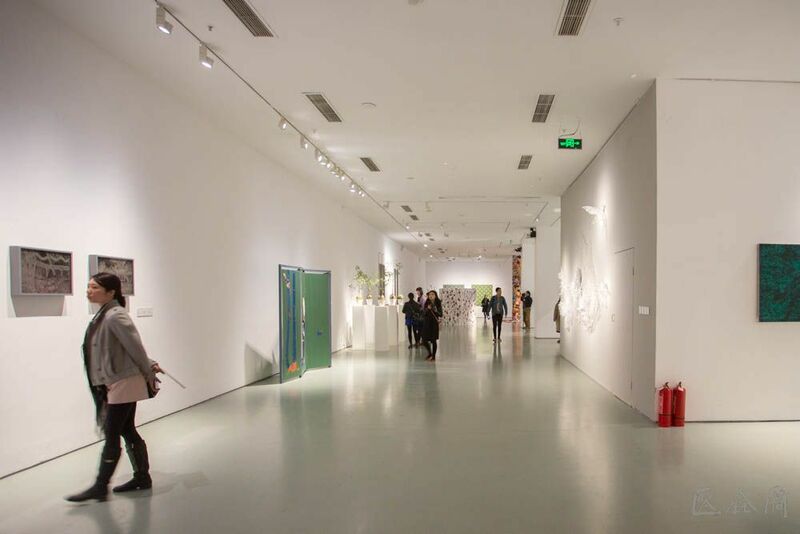 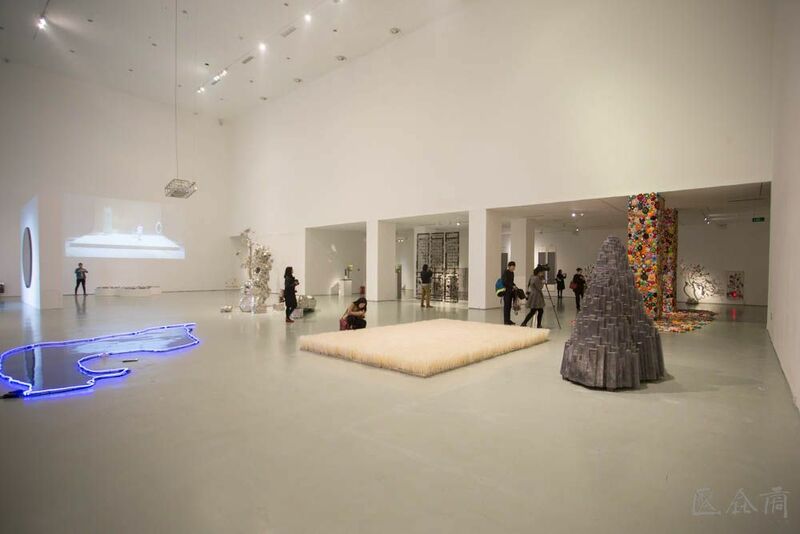 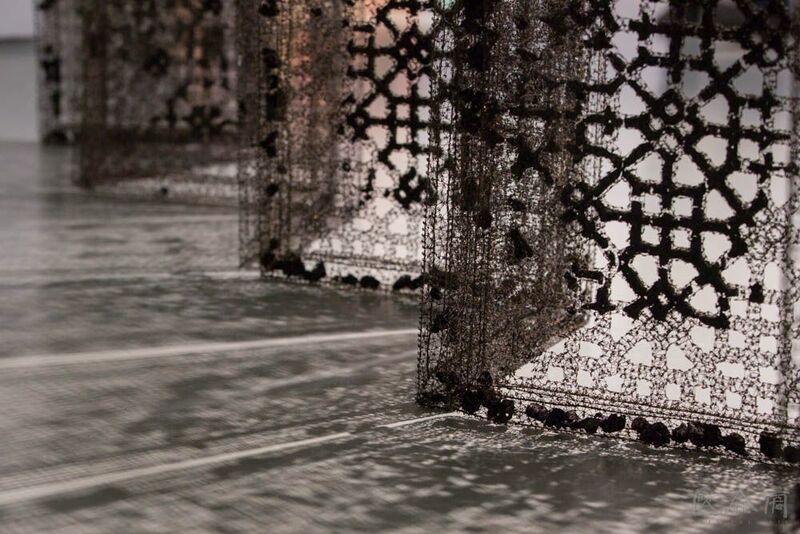 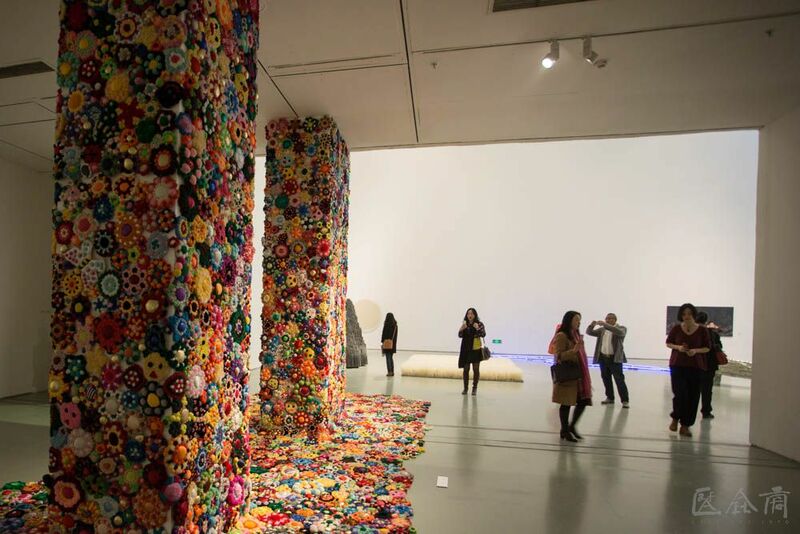 The exhibition remains on view till April 5.